Syed leads the firm’s focus on innovation, partnerships, and client impact. His professional experience includes work in the diverse areas of media, academia, and international education. He first came to the US as an International Ford Foundation Fellow, so he brings his own experience as an international student into his vision for Branta. His interest in cross-cultural collaborations and global citizenry continue to shape his professional pursuits. 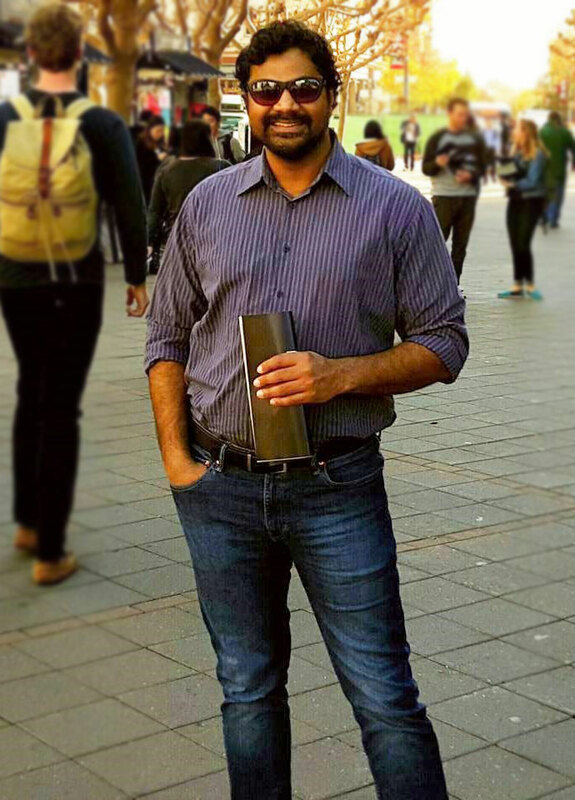 After EducationUSA, Syed began consulting for a variety of youth and higher education organizations both in India and in the US. In 2015, he moved to the US and founded Branta, which works with universities, colleges, and recruitment organizations in the US and Canada, as well as youth-focused organizations in India. Syed interests include international educational technology, youth development, entrepreneurship, and social media. He tweets here. As a trained filmmaker, he serves on the Board of Advisors of The Way Home: Journey of Family and Faith, a documentary film about three generations of Tibetan women in exile fighting to save their cultural heritage. He also serves on the Board of Directors of World Affairs Council in Tacoma. Innovative, creative, a great communicator, Syed is always a pleasure to work with. I've found Syed to be a devoted professional, ready always to help students, colleagues, or others who can benefit from his considerable expertise, especially in digital media. He helped me to arrange presentations, and never let a detail slip past him. Syed has been a wonderful partner to Barnard College, Brown University, Columbia University and the University of Chicago. He is skilled in the use of technology to reach a broad range of interested students. Syed is creative, innovative, and full of great ideas..the enthusiasm and energy that he put into his work was contagious. Syed is smart, inventive, and a natural communicator, as comfortable speaking to a standing-room-only crowd as he is crafting a message on his computer. Syed is passionately involved in dedicating himself to human rights issues. He is a great communicator and peace builder working for various inter faith communities across the country and extremely enthusiastic about his work. Syed has been a huge help in organizing webinars and promotional information sessions for our academic programs. He is detail-oriented and an excellent speaker..
Syed is full of innovative ideas for marketing and social media. The only thing I appreciated more than his skills was his sense of determination. Syed is a pleasure to work with. He has lots of energy and optimism and thinks about the big picture, not just getting things done today. He has interesting perspective and is willing to reach beyond his requirements to provide the answer you really need.